Skye Gravestones | Isabella (Robertson) Coghill. 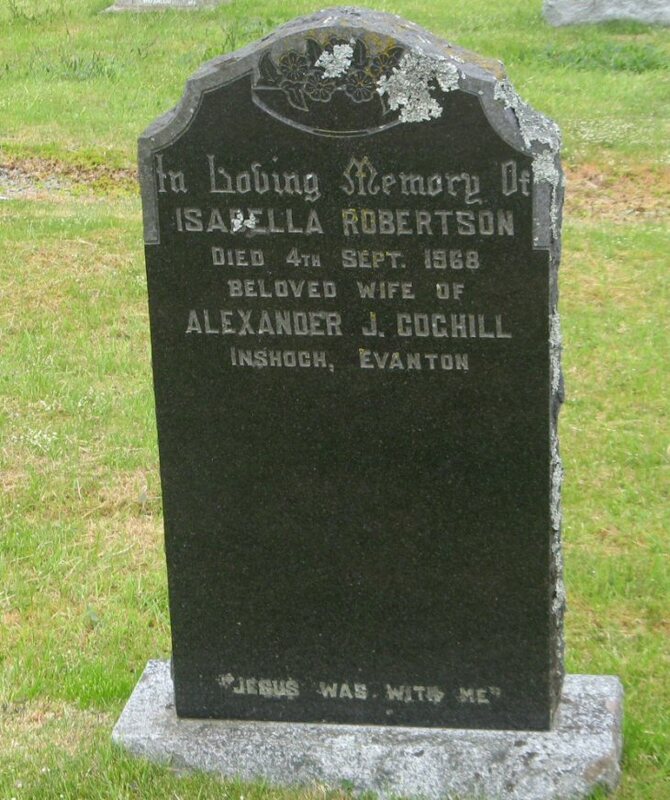 In loving memory of/ISABELLA ROBERTSON/died 4th Sept. 1968/beloved wife of/ALEXANDER J. COGHILL/Inshoch, Evanton. Picture Added on 09 January 2014.